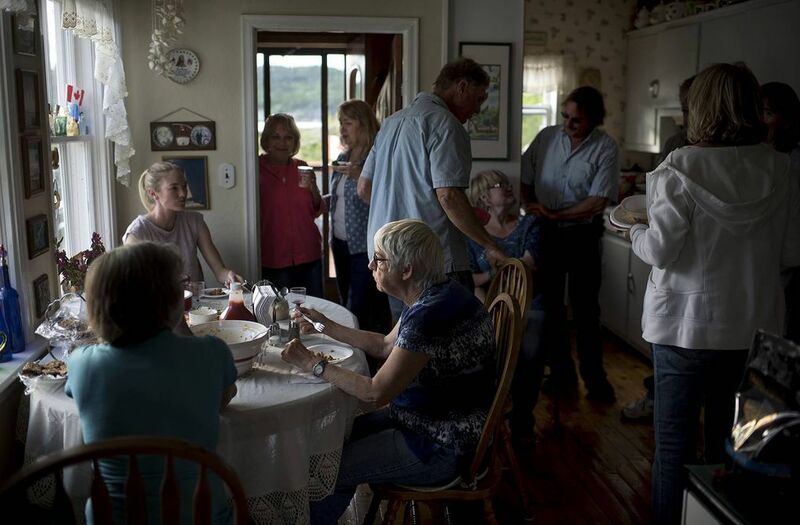 A crowd gathers in Maurice and Gloria Levor's kitchen for a pot luck supper, known locally as a scoff, in Little Bay Islands. 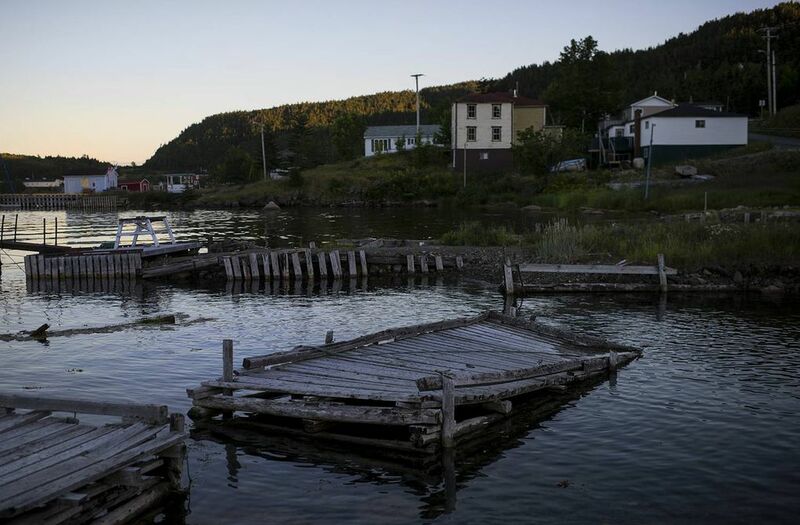 Mike Konkle leaves the Levors' pot-luck supper with a plate of food to catch the last ferry to the mainland. 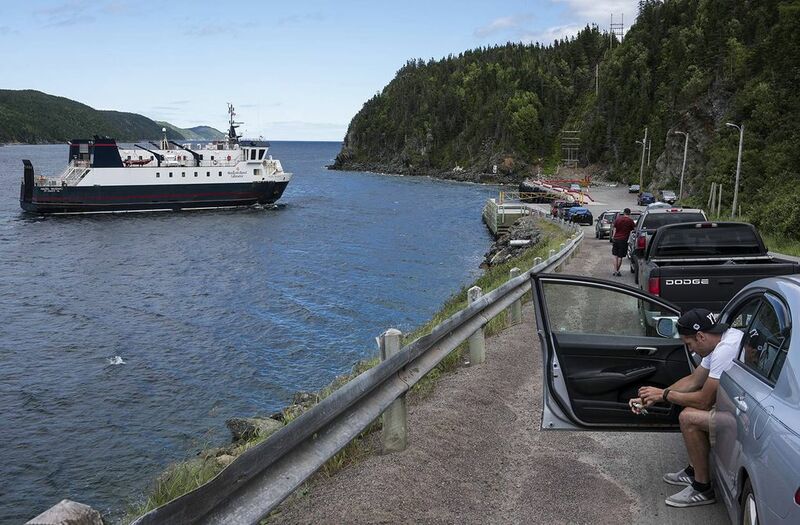 Matt Tucker takes the MV Hazel McIsaac ferry to visit his grandparents in Little Bay Islands. 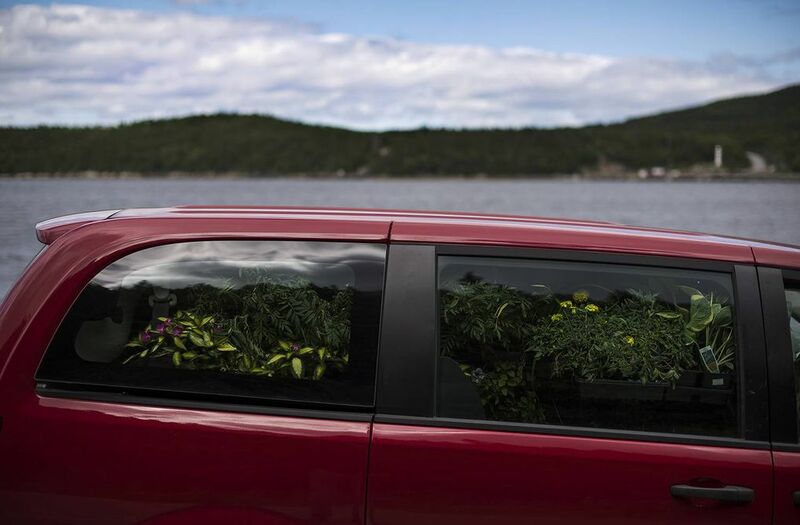 Mike Konkle brings flowers and plants from his Ontario home to share with the community in Little Bay Islands, where he spends the summer. 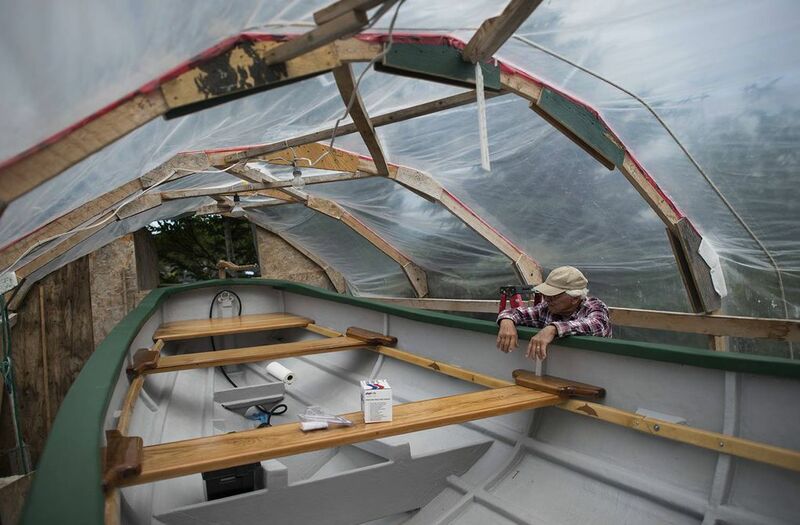 Jules Racenet leans on the 25-foot trap skiff that he has been restoring for three years. 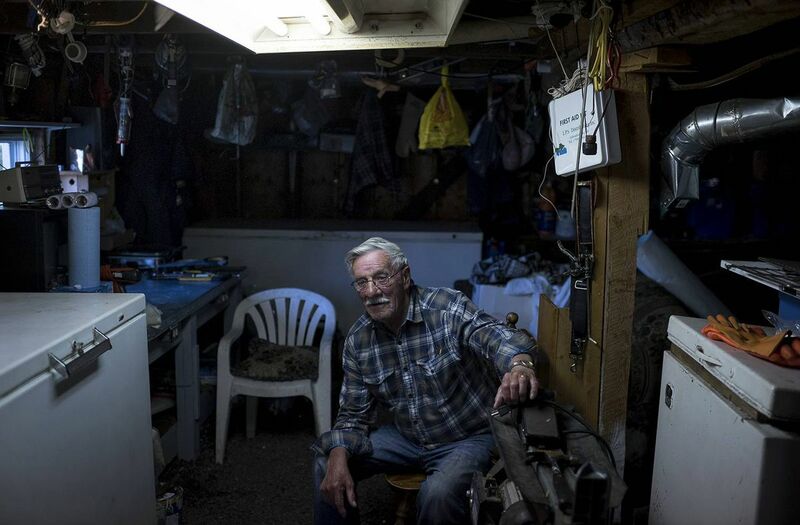 Ray Newman stops cleaning his morning's catch of cod to recall his years in the commercial fishing industry. 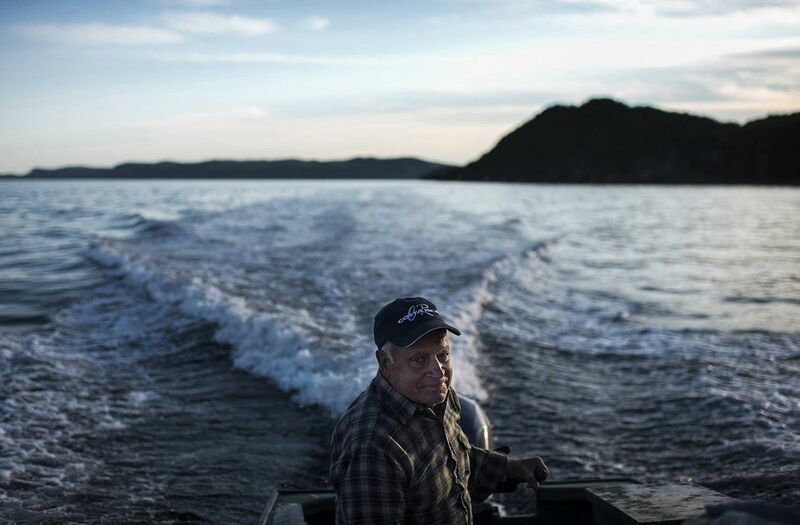 Wincel Oxford, 84, boats home after an evening fish. 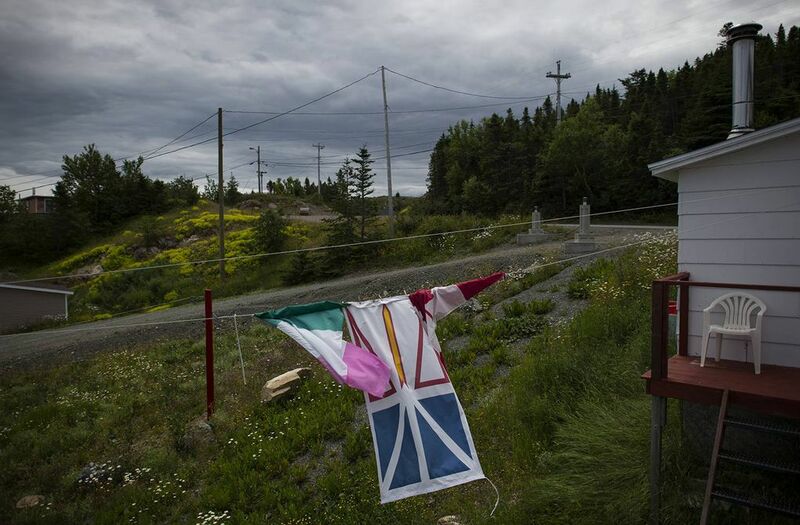 Newfoundland's tricolour and modern flags hang on a clothesline with the Canadian flag. Doris Tucker enters the unused H.L. 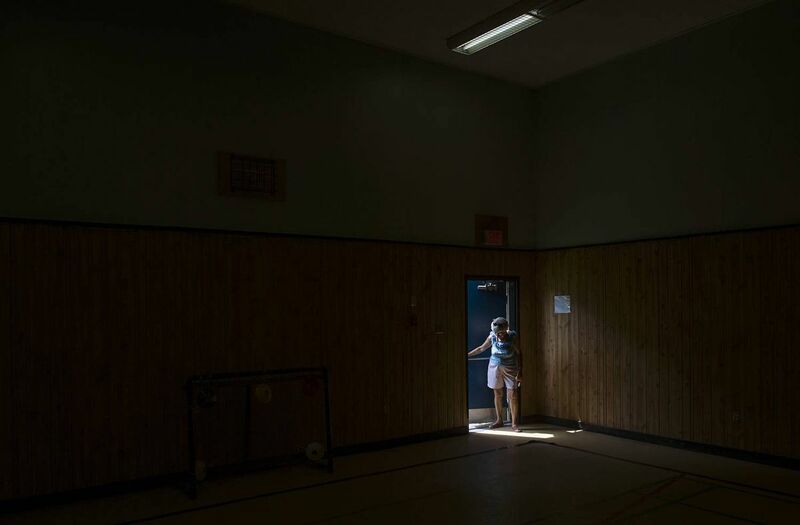 Strong Academy gymnasium to prepare for her sewing and crafting circle. Gordon Weir, 81, doesn’t want to leave home but the government’s offer is a good one, he says. 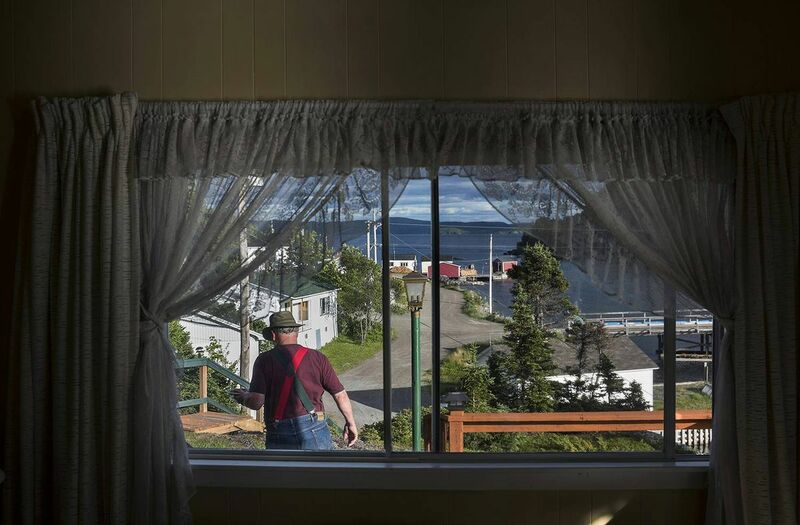 His basement freezers are stocked with jars of homemade rhubarb relish, pickles and stewed moose. 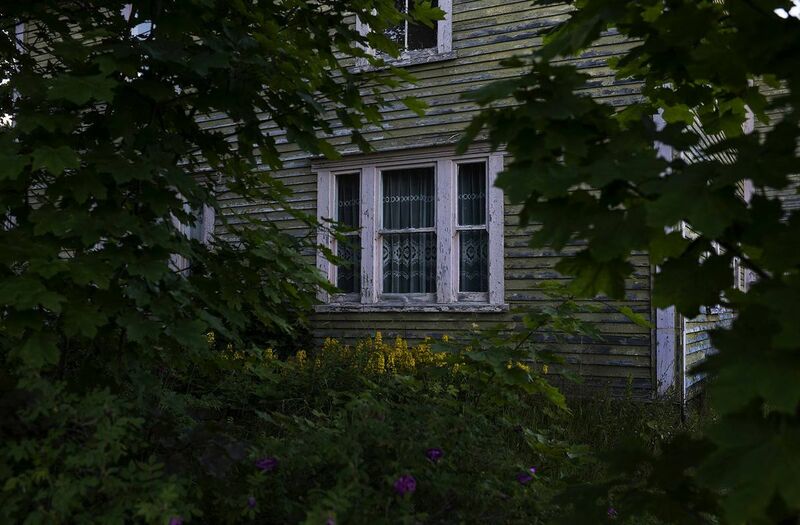 Flowers and overgrown bushes crowd an abandoned home in Little Bay Islands. Unrepaired fishing stages sit at Little Bay Islands. 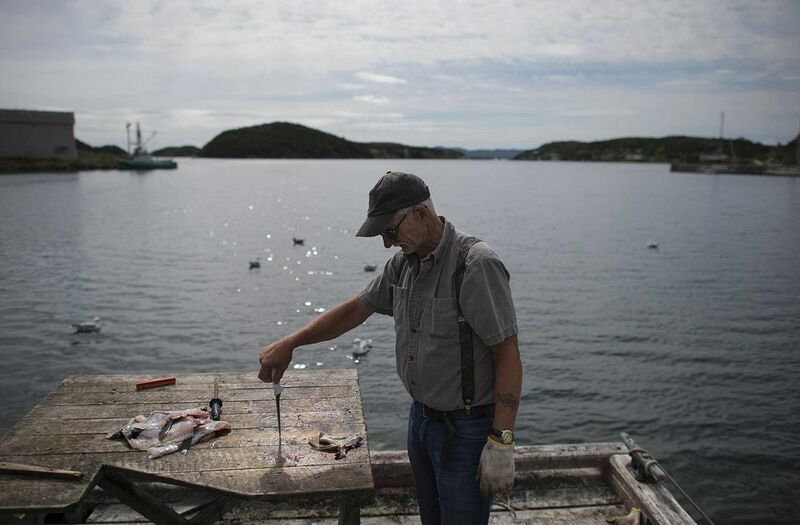 The remaining cod fishery in Little Bay Islands is purely recreational.